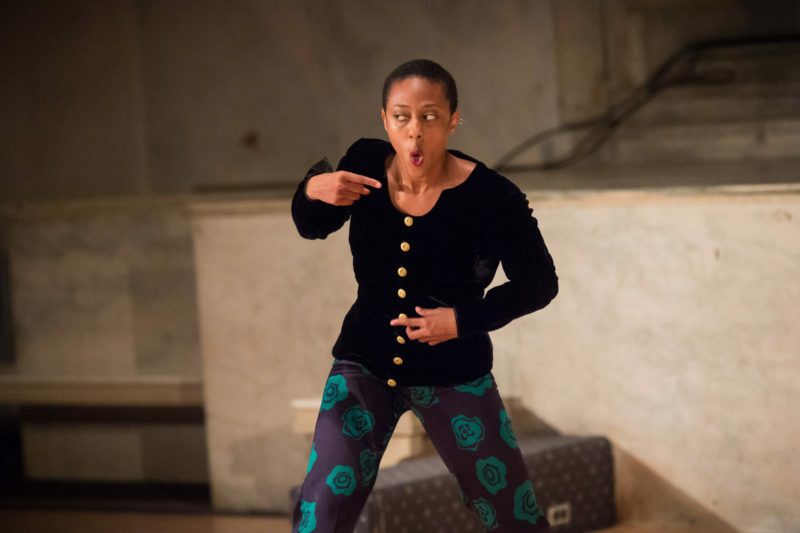 Born and raised in Trinidad & Tobago, Fana Fraser is a performer living in New York City. Fana is a Movement Research 2017 Artist-in-Residence Van Lier Fellow. She was a 2016 Artist-in-Residence at the Dance & Performance Institute in Trinidad & Tobago and a resident artist at BAAD! for Open Call 2016 – a project partnership between BAAD! and Pepatián. Her performance work has been presented at Emerging Artists Theatre, BAAD!, Dixon Place, WestFest, the CURRENT SESSIONS, Trinidad Theatre Workshop and Movement Research at the Judson Church. She has performed with Camille A. Brown & Dancers, Ailey II, Sidra Bell, Francesca Harper, Ryan McNamara, Andrea Miller, and The Metropolitan Opera. Currently, Fana is the Rehearsal Director for Ailey II. She is an Honors graduate of the Ailey/Fordham BFA Dance program and began her dance training at Caribbean School of Dancing.